I’m Back… I’m Refreshed… and I Pose a Question: How’s That Guy Oscar Taveras Doing? Posted in: St. Louis Cardinals. Tagged: Cardinals, Carlos Beltran, James Ramsey, Jim Gaffigan, Kolten Wong, Matt Holliday. 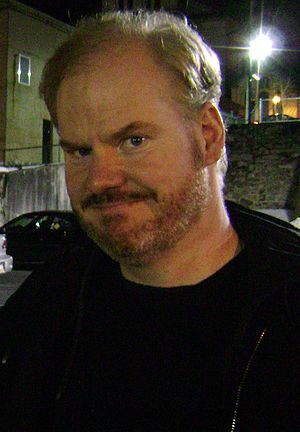 My favorite comedian to listen to is Jim Gaffigan (@JimGaffigan). Going camping for the last week got me thinking about his funny camping jokes. Look, the guy is obviously not an outdoors person. Just look at how pale he is. He referrers to the term “happy camper” and how sarcastically we use it. Do we ever use it in a positive way? Why not just call him a camper? I have to agree. The single greatest moment of my whole vacation was riding home thinking about taking a warm shower. But of course my whole family tries to take a shower at once and guess who gets the cold stick? If you haven’t ever listened to Jim Gaffigen then I encourage you to do so. He is even mostly clean. I’ll link at the bottom of the page to his camping jokes. Anyway, when I got back I was catching up on the baby birds through things like (@stlCupOfJoe)’s excellent pieces on Kolten Wong and James Ramsey and it got me thinking: How’s Oscar Taveras doing? The Cardinals have been suspiciously hush-hush on their top hitting prospect this year, especially when he hurt his ankle. In fact he didn’t play for 15 games and the Cardinals didn’t even put him on the DL until after. The facts? He’s doing what Oscar Taveras does. He is still recovering from his ankle injury, taking every 3rd or 4th day off. But he’s hitting .309 with 24 RBI’s and 4 HRs in 39 games. Not exactly crushing but not anything that concerns me or the organization. The quietness around him is mainly due to the lack of any kind of opportunity barring injury. 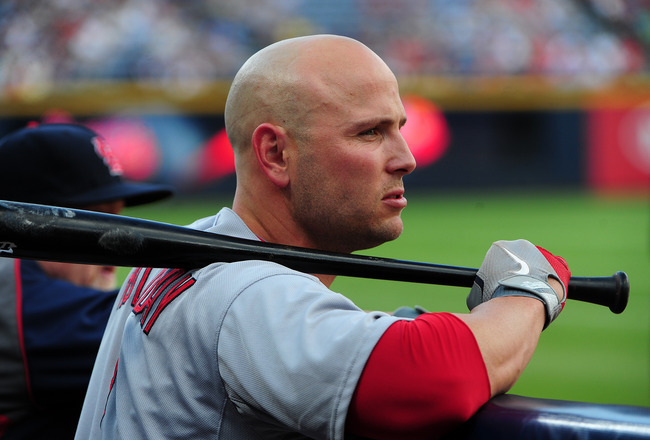 Carlos Beltran is crushing and is a lock for the All-Star game and we all know what Matt Holliday can do. With Will Myers being called up by the Rays I could see some interest being turned to Taveras. But don’t worry, he’s doing fine and is continuing to hit down in the minors. With Carlos Beltran hitting like he is now, it’s not like people are rioting on the internet to see him. That poses a complicated question this off-season when Beltran’s contract is up that I don’t even want to think about. Posted in: St. Louis Cardinals. Tagged: Major League Baseball, Matheny, Matt Holliday, On-base percentage. 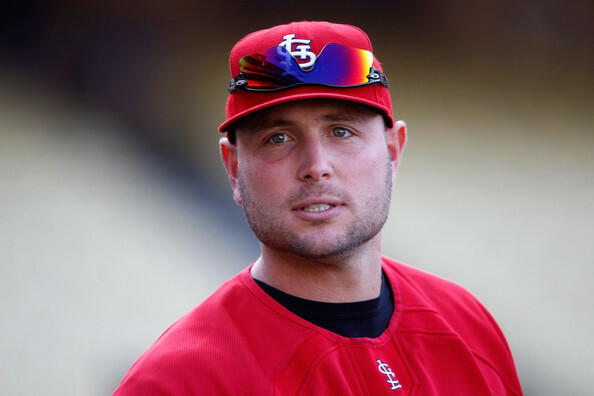 Last night Matt Holliday put on a clinic hitting a 2B and a grand slam, driving in 4 runs. There has been some quiet murmurers (and not so quiet from fans) from baseball analysts about Holliday’s slow season so far. It was even brought up to Matheny if Holliday should move to the no. 2 spot. What? This the same Matt Holliday with a career batting AVG of .311 and a career OPS of .918. Yes, THAT Matt Holliday. Now this season Holliday is hitting .264 with a .354 OBP. Pedestrian numbers, sure, but why? His K% is down 3% from last year (14.6%) and his walk percentage is up. His BB/K ratio is actually WELL above his career norm at 0.78. He’s actually got 37 RBI”s which is more than some people expect. He’s actually 3rd on the team in WAR behind Matt Carpenter and Molina. So… what’s with the BA? The only telling stat is his BAbip. Or his batting avg on balls he hits in play. It’s at .274 compared to a .342 career avg. Matt ALWAYS the ball hard and tends to have a high BAbip. It’s a pretty severe drop, something I don’t see everyday. Guys are getting on in front him like never before and once he gets over this bad luck spell, he’ll really explode. Look, at the end of the season, his numbers will be there. He’ll end up with 25-28 HR and 90-100 RBI’s. Once baseball stops being funky Holliday will continue to show why he’s in that 3 hole. IT’S MONDAY NIGHT BASEBALL ON ESPN!! Posted in: St. Louis Cardinals. Tagged: ESPN, Jon Heyman, Matt Holliday, Rick Ankiel, St. Louis, St. Louis Cardinals, Tim Kurkjian. In St. Louis for Mets-Cardinals on ESPN at 7 pm ET. Love this town.